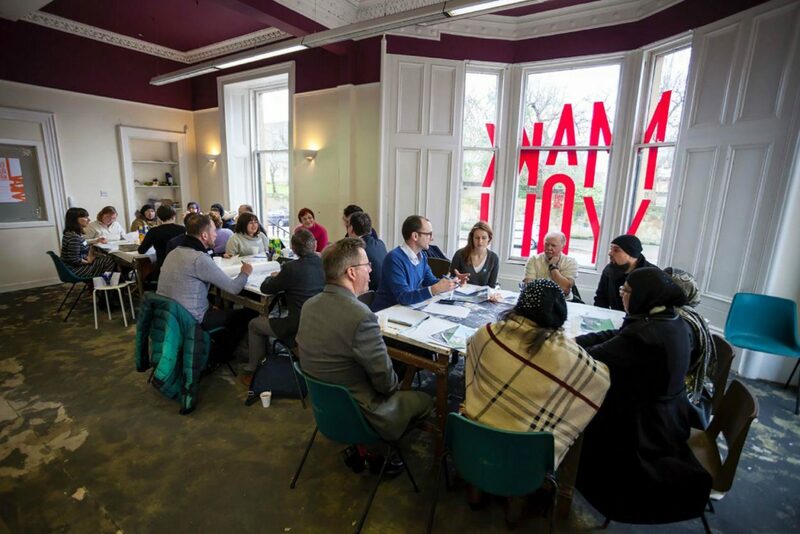 In 2016, Pollokshields Community Council (PCC) commissioned Collective Architecture, Dress for the Weather and multi-disciplinary team to lead a collaborative community planning event in East Pollokshields, called a design ‘Charrette’, with the long term aim of making East Pollokshields a better place to live. 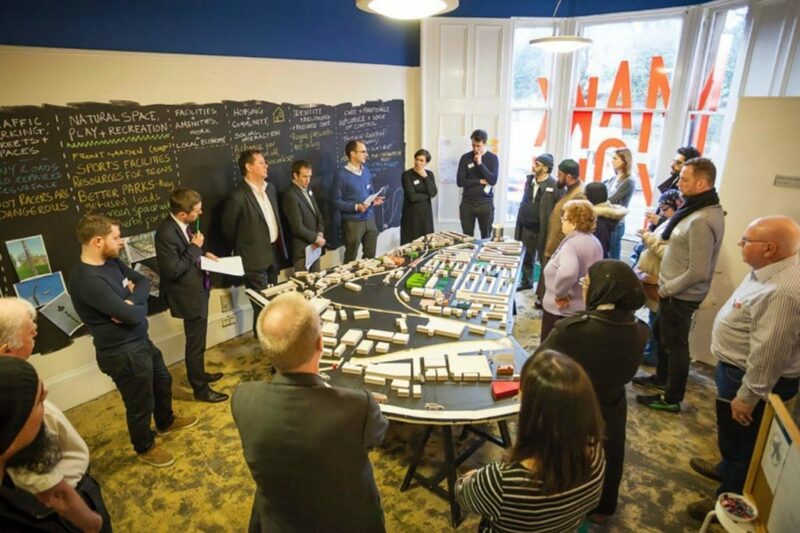 Charrettes’ are collaborative events that bring together local people of all ages with a team of design professionals to shape the future plans for where they live. 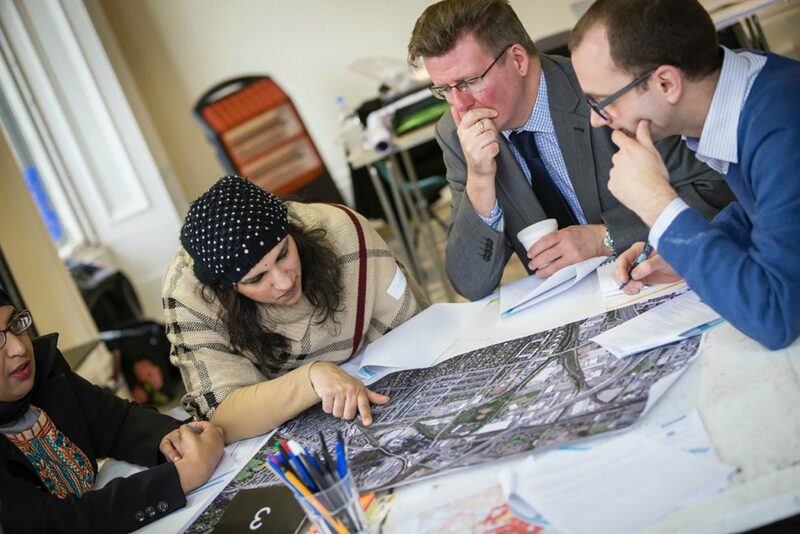 They provide a dynamic environment within which residents can put forward their ideas and aspirations for how the local area should develop over the coming years. 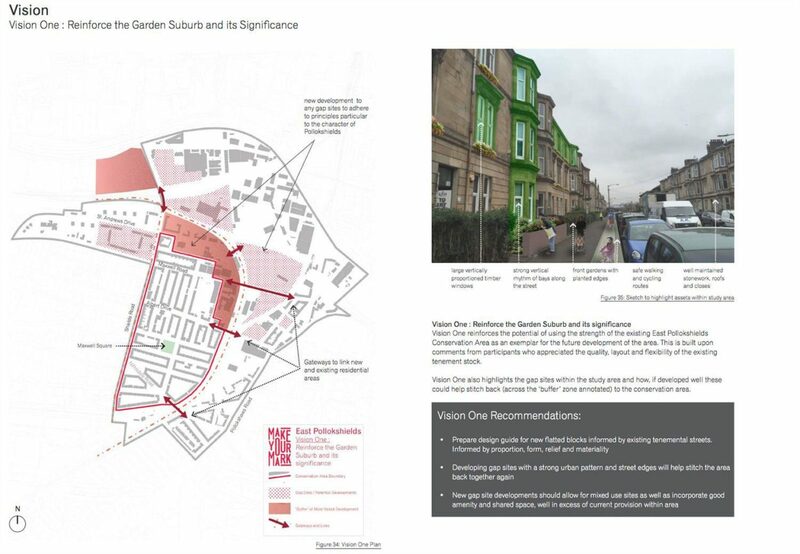 The key aim of the project was to complete the East Pollokshields and Port Eglinton Planning Study as a masterplan document that, as Supplementary Planning Guidance to the new City Development Plan, would help guide the next two decades of development in this multicultural area. 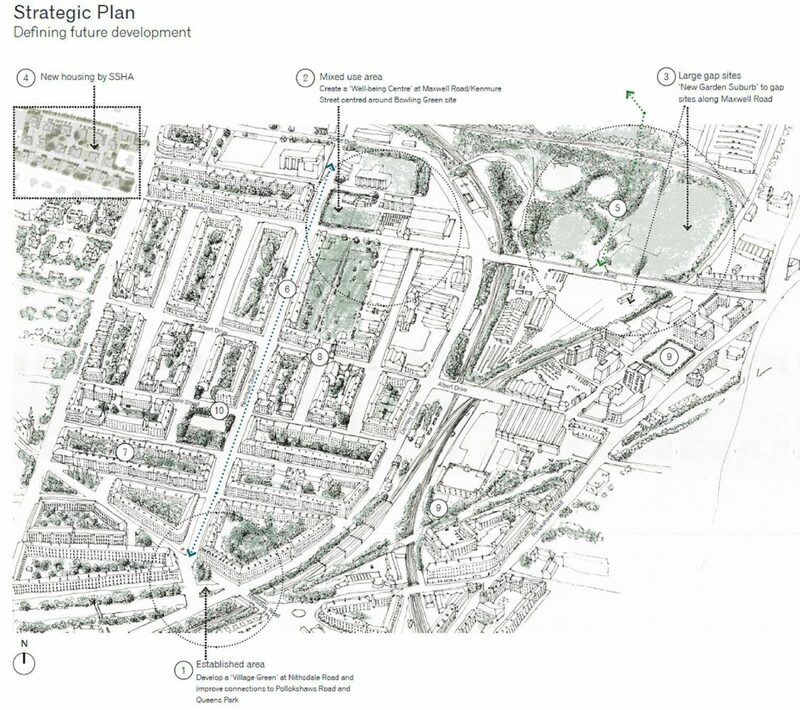 A ‘Charrette’ was considered to be the best forum in which to assemble the East Pollokshields community and stakeholders in one place and work rapidly through local issues, formulate collective aims and collate this into a project study and action plan. It was agreed that the process - and project - should be named ‘Make Your Mark’ to reflect local input, action and ambition. 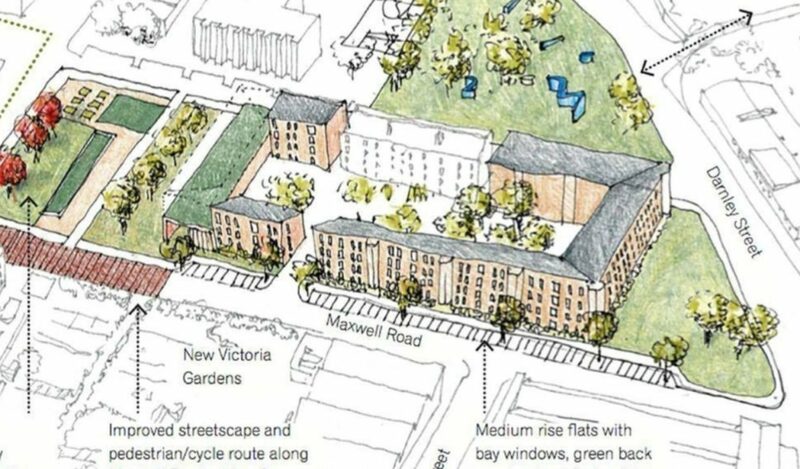 Make It sought to tackle the multiple deprivations from which the area suffers, and improve the lives and economic outcomes for the people who live within it. 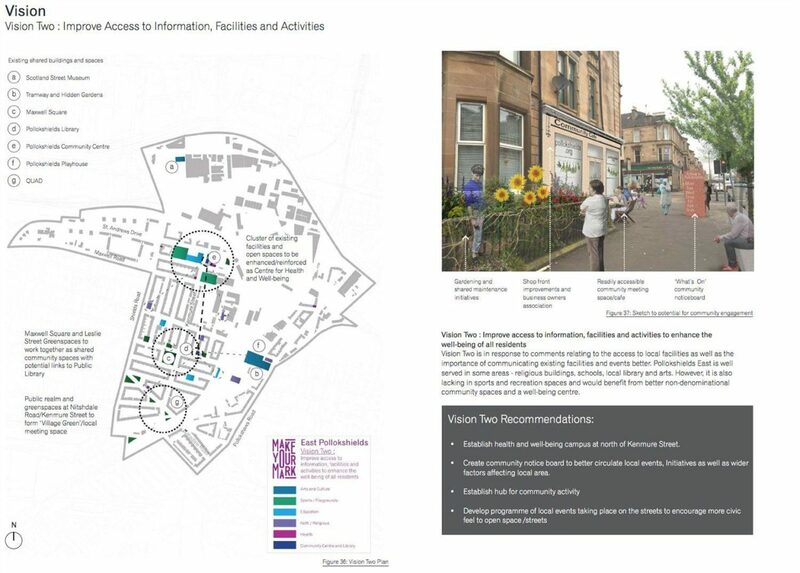 Make Your Mark took the form of on-street consultations and workshops during February 2016 in and around various sites within East Pollokshields and Port Eglinton. These offered a platform for people to say what they wanted, what they needed and how this might be achieved within their community. The project team went out onto the streets with plans and models then held a series of focused workshops to explore people’s ideas on a number of different topics. The topics were guided by the Scottish Government’s Place Standard Tool, which provides a framework to assess the quality of a place. 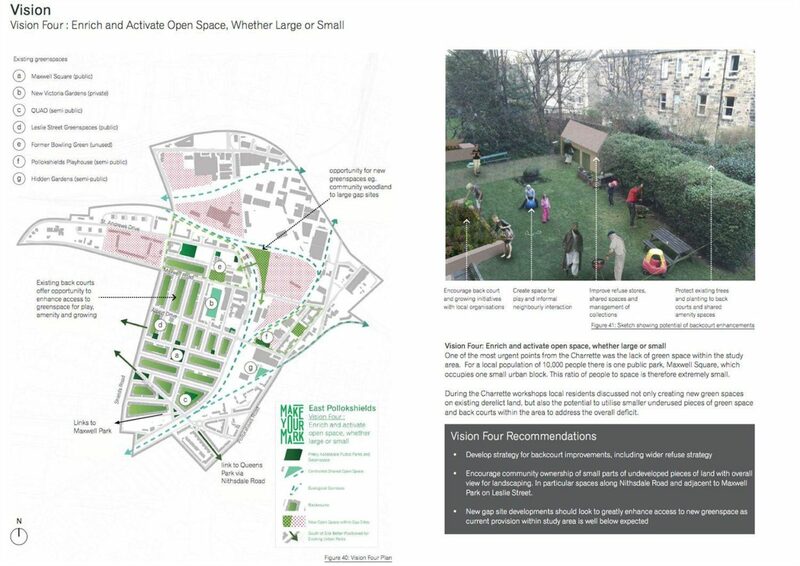 The Place Standard has been designed to consider the social assets of a place to be just as important as the physical infrastructure. Local people and organisations were are asked straightforward questions, with prompts provided to assist them, under series of headings such as ‘Housing’, ‘Feeling Safe’, ‘Work and the Local Economy’. Make Your Mark presents a shared 5-point vision and masterplan generated from local ideas, existing initiatives and potential opportunities. 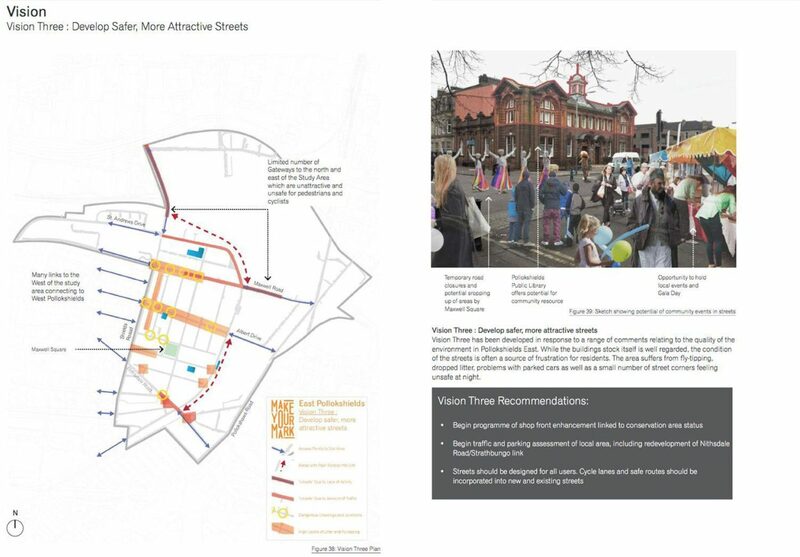 Many of the proposed actions involve physical development proposals. Others focus towards communication, capacity building and information sharing. 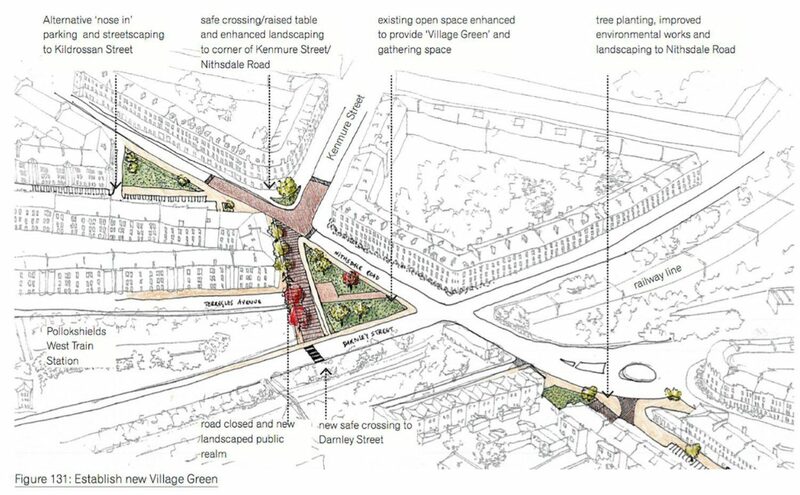 Each ‘Vision’ and action seeks to build on existing infrastructure and better support the local community to shape and influence the development of East Pollokshields and Port Eglinton. These were presented to residents, stakeholders and locally elected representatives, including Scotland’s First Minister Nicola Sturgeon, at a Public Meeting on 20th March 2016 and were well received.